Health insurers have been moving to make technology a bigger part of their business, and that has included a shift to using data from wearables. The appeal is simple: users who can show that they are fit and healthy stand to benefit from lower premiums. But there could be outsized risks if the technology were to go too far. According to Carver, wellness reports could be used to group users based on their behaviour and health risks. The different groups could be sorted into categories of wellness, each of which will be offered different choices by companies. 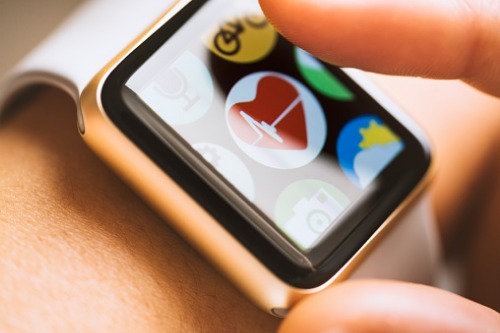 Symptoms detected by a person’s apps and wearable technology could be used to derive the probability of future illness, similar to how credit reports are used to extrapolate someone’s current borrowing behaviour. Carver noted that credit reports, built and maintained without the permission of the individuals being reported, are notoriously difficult to monitor and correct. In the same way, rectifying errors in wellness reports might take days or months, and might require experts or specialized medical tests. In cases where incorrect data reporting leads to unfavourable scores, she said, the consequences to the individual would be far greater than the costs to insurers. “[W]hat if you were drinking coffee like it was water to stay ahead of a deadline, and the data from your wearable device and phone apps merged to show that you had high blood pressure or a slightly elevated heart rate?” she wrote. She also warned that older adults would be especially vulnerable. If they had a disease and their reports reflected warning signs even before it impacted their behaviour or lifestyle, they could face higher premiums — a dire problem as many seniors have fixed incomes. “We need to talk about these privacy concerns now, and insist on government protection, before private insurers and health providers invest in novel applications of already existing data to create and use wellness reports to protect them from risks — not us,” Carver said.